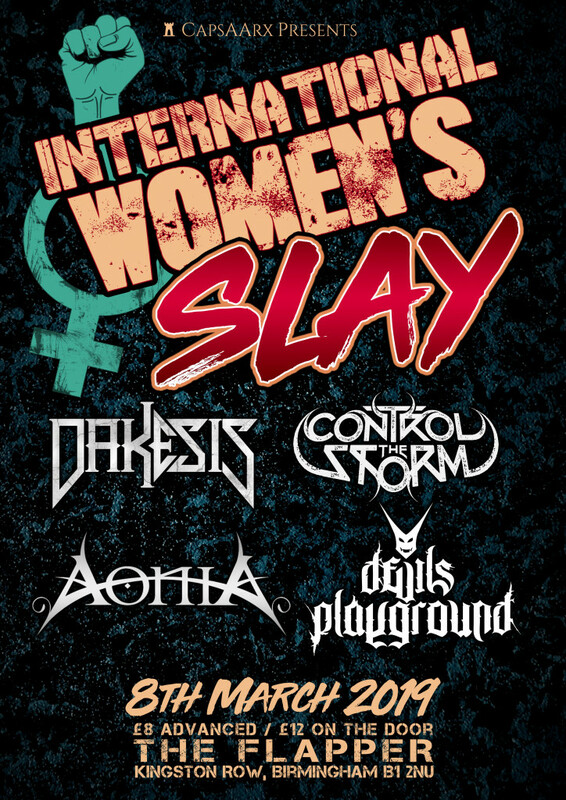 Dakesis have teamed up with CapsaArx Studios to present the first ever International Women’s Slay event. Held on International Women’s Day on the 8th March 2019. We are no strangers to some of the difficulties women can face within not just the music industry, but any industry as a whole. 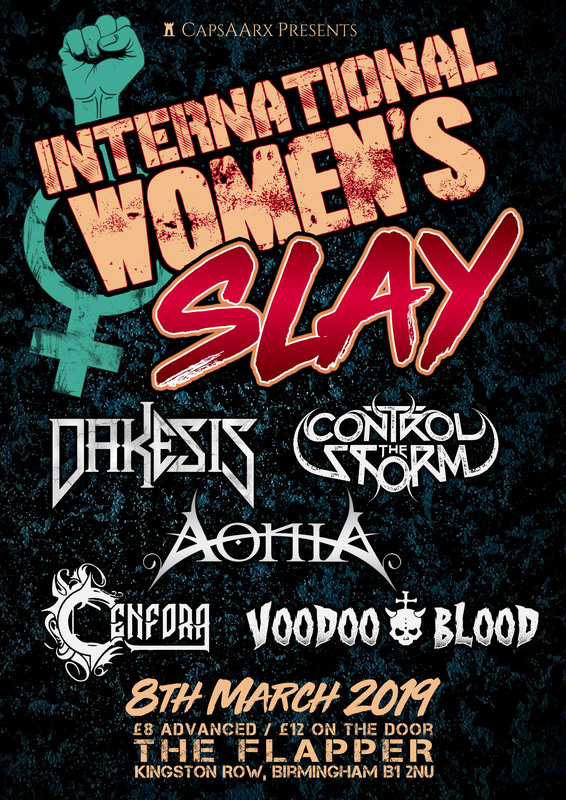 Therefore we’ve put together a fine lineup to celebrate some of the best in the underground metal scene. Tickets are just £8 in advance and available from our webstore here and wil be £12 on the door. The event will be held at The Flapper in Birmingham.